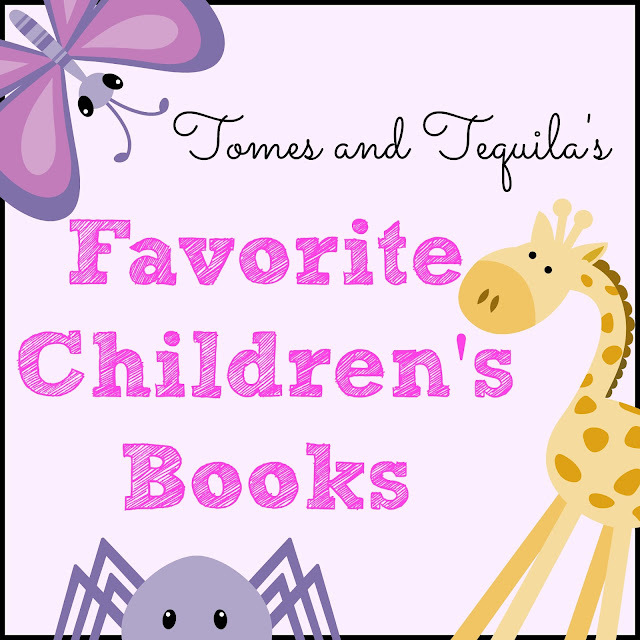 I'm sure it always looks a tad odd to see a book blog with Tequila in it's name writing a blog post about children's books. Or at least, I feel like it looks odd. I'm over here going...hey, I know I post photos with tiny tequila bottles in them all the time, but I also read a boat-load of little kid books, and I really like them...so listen to my recommendations!! As I've said in previous children's book posts, I do Story Time at The Library every other week and in order to choose which 2 or 3 books I'm going to read to the munchkins, I go through a stack of 12-30 books on a given theme. Do I completely read all of them? Absolutely not. If I open them up and they have way too many words on a page, I put them off to the side as a no-go. My Story Time's are for the preschool set and long books just don't do the trick. I LOVE children's books that rhyme. I LOVE ones that are funny. I LOVE ones that are silly enough you might just get the parents to giggle too. And if they can get the kids involved in some way, that's even better. Do they all fit that bill? Probably not, but those are the ones that are pretty much a guaranteed pick for me. For this lovely book you get the picture I snapped really quick for my Instagram after I read it while cataloging this week. 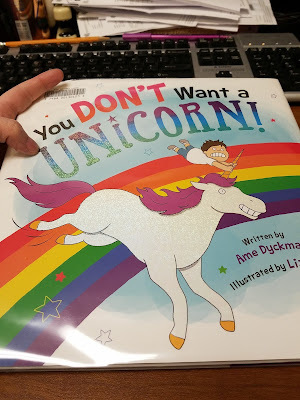 The fun part of my job cataloging books is that I get to lay hands on everything that comes into the library...so I take quick peeks at the story books that catch my eye as soon as they arrive in the building. This one had me laughing so hard it got passed around!! It is the incredibly silly story of all the reasons why you really do NOT want to have a Unicorn. It includes things like...the Unicorn pooping nasty cupcakes all over your house. The Unicorn eating your walls and furniture...getting its horn stuck in things. Being lonely and inviting it's Unicorn friends over for a party (it even includes a very Rainbow Brite looking one!). It's not kid tested...yet...but I sure thought it was funny!! I recently did an exercise themed Story Time that was almost exclusively yoga themed. These mainly 2-4 year old kiddos took to it like pros! 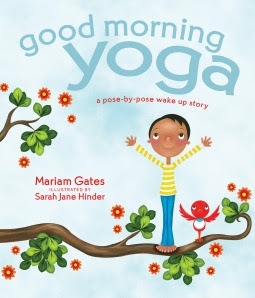 I started with this book, Good Morning Yoga...and only read the large text which says things like "Today I am a fiery volcano reaching high" and shows an illustration of a person stretching up to the sky. It is accompanied by a smaller print explaining breathing and a more in-depth description of the move, but the children really did great just with the large text, photos and a little prompting by me that today we were going to get all of our wiggles out and move around a bunch. When we finished up I told them we had done "Good Morning Yoga" which they promptly repeated with much pride. I was surprised by the amount of yoga related kid's books out there that really got the little ones excited, and I highly recommend taking a look for one that fits your style as both the boys and girls really found it enjoyable! I am a huge fan of the books in this series, but I think I enjoy reading this one out loud more than any of the others...mainly because it allows me to sing incredibly silly to a bunch of little kids who don't care what my singing voice sounds like! They are the best audience a girl could ever ask for. 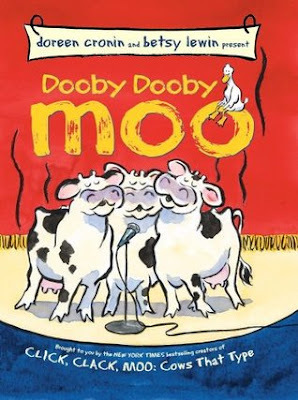 It is just fun to sing "Dooby Dooby Mooooooo" like a crooning cow. Or Born to Be Wild consisting solely of Quacks! The barnyard animals REALLY want to win a trampoline at the local talent contest...and as usual Farmer Brown tries desperately to keep an eye on the situation but Duck is far more clever. Great for any animal loving kids. This book is described as "Monty Python-style", and I couldn't agree more. I think with the right overly dramatic storyteller this book could be off the charts ridiculous. 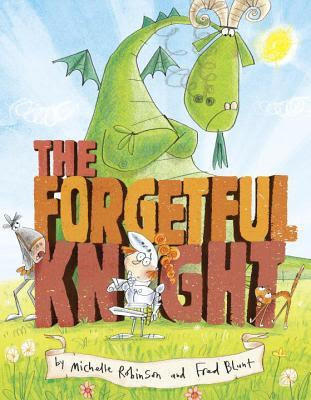 The narrator of the story is incredibly forgetful and keeps messing the story up to much hilarity. Does he have a sword or a sandwich? Is he slaying a cactus or a dragon? 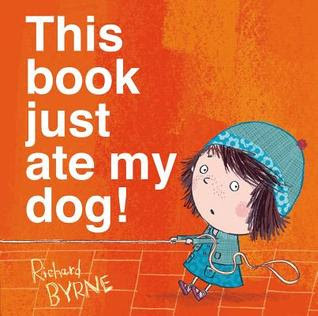 The rhymes are incredibly fast, and the illustrations are pretty clever too. I think this one might go over the heads of the super little ones, but the slightly older kids will find it pretty funny. Okay, this last one is a board book and not a book for Story Time, but I'm putting it on here last for sentimental reasons. This was my son's favorite book as a toddler, and I recently proved to my coworker that after 20+ years I still have it memorized. 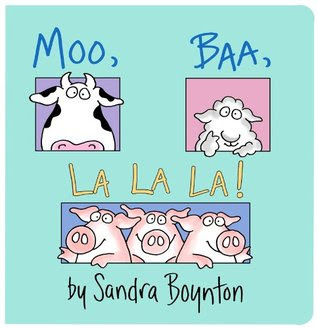 I LOVE Sandra Boynton's illustrative style and this cute little book of animal sounds struck just the right chord with my son. He loved it until it was falling apart! I have purchased many copies over the years...for a daycare I worked at so I could read it to the little ones, for friends baby showers, etc. I'm sure I'll continue buying it and wowing people with my ability to remember the words to this cute little book. But it's hard to not finish off with "It's quiet now what does Boogie say?" instead of "what do YOU say?". So that's it for this Edition of my Favorite Children's Books. Do you have any good Story Books you think I should check out?? Any ones you can recite verbatim?? 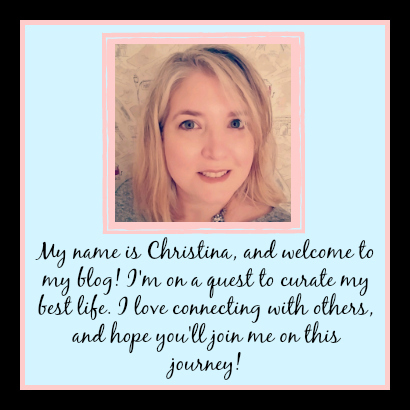 Let me know in the comments here or over on my Facebook page!